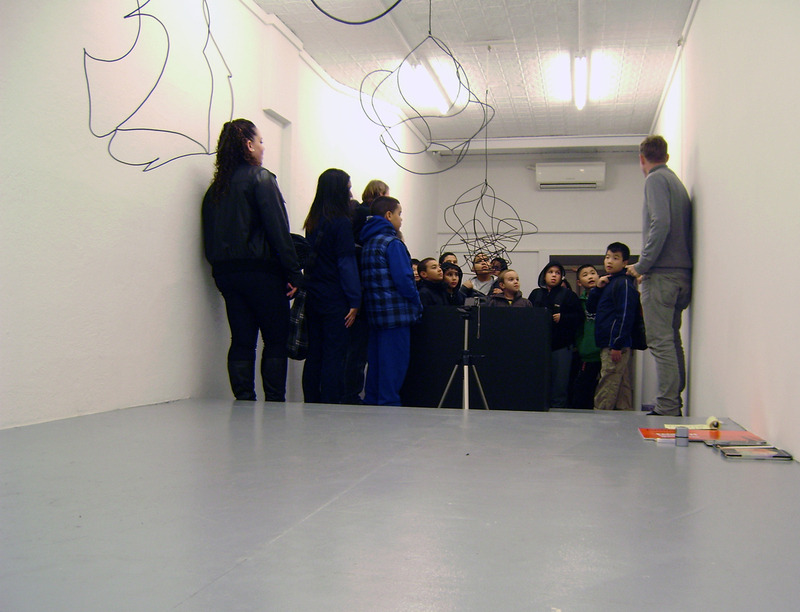 a workshop organized in conjunction with with the exhibition ‘tobias putrih: after frei otto’, at ludlow 38 for children from the university settlement youth program, october 4, 2010.
using the wire frame structures and soap solution tank of tobias putrih’s ‘after frei otto’, as a point of reference, a direct method of wire frame construction was devised. 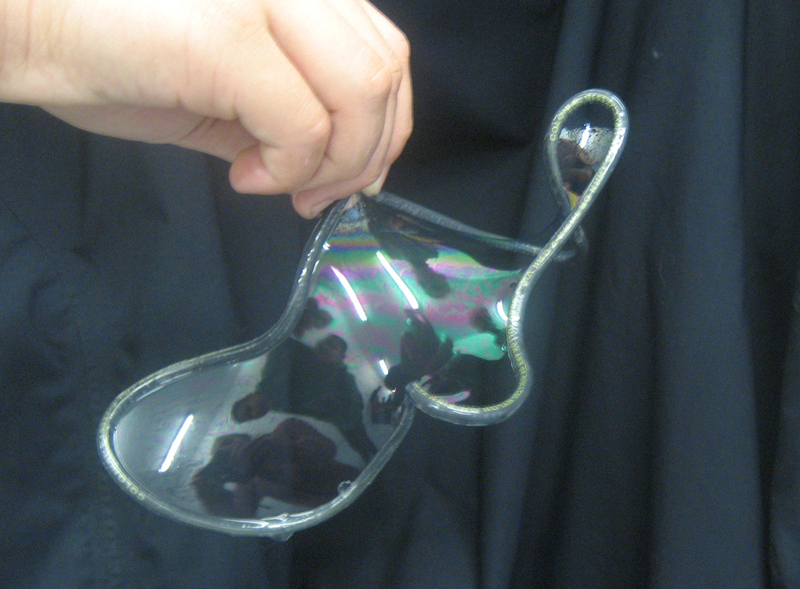 this enabled students to themselves create and adjust a variety of small single soap film surfaces, not unlike those originally studied by joseph a.f. plateau and frei otto. working in teams of two with a two foot length of 12 gauge plastic coated conductor wire, students were instructed to make rigid frames as a closed loop. each team collaboratively explored various wire bending and folding strategies or simply kinked their wire until it completed a closed frame. the teams subsequently dipped the frames into tobias putrih’s tank of soap/water solution to produce a single minimal surface within a frame. in order to explore the architectural potential of the produced soap surfaces, each minimal surface was first photographed. 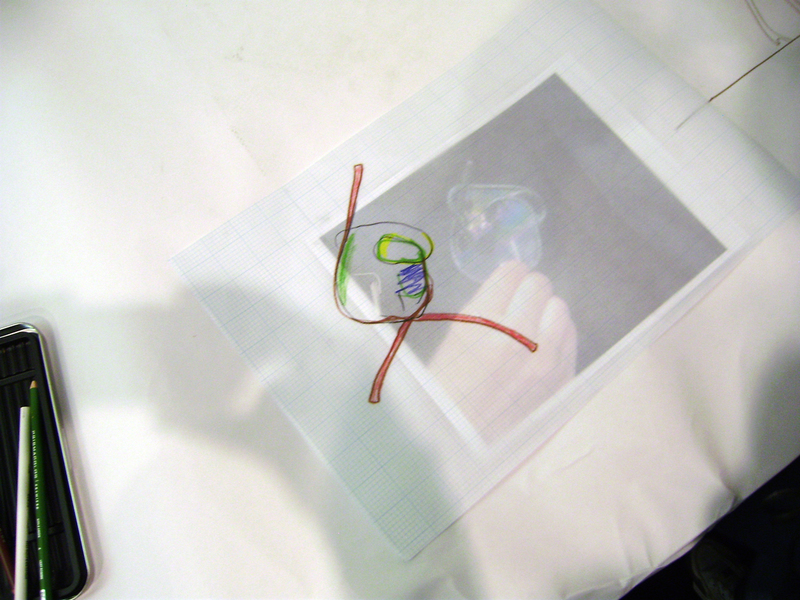 images were then uploaded to a computer in the gallery and two prints of each soap film photograph were given to the corresponding student team. 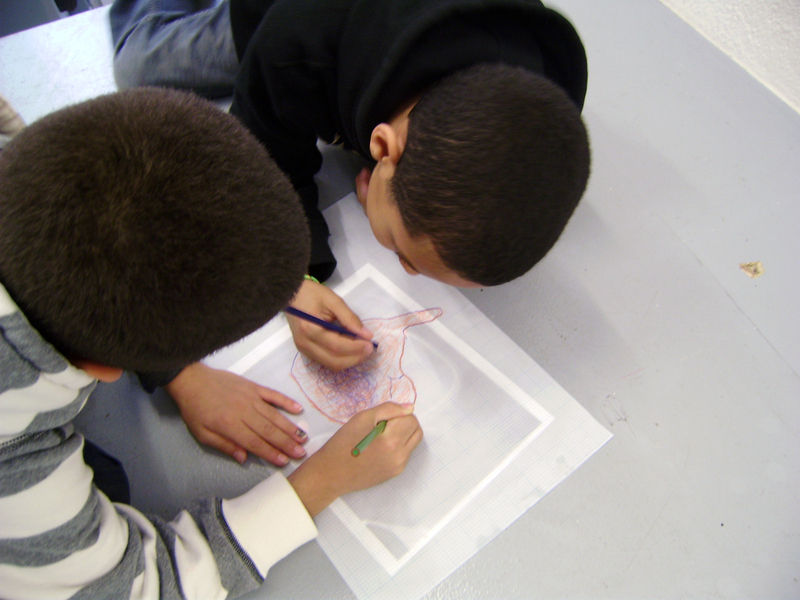 using colored pencils on tracing paper, students envisioned their own ‘architectural’ structures based on the minimal surface experiment.